Below you fill find all funeral homes and cemeteries in or near Roswell. Suburbs of Roswell: Border Hill, Elkins, Pine Lodge, Roswell Industrial Air Cente. Roswell is also known as: Chaves County / Roswell city. Their current mayor is Mayor Dennis Kintigh. Zip codes in the city: 88201, 88202, 88203. Chaves County funeral flowers can be purchased from one of the local funeral shops we partner with. Some of the notable people born here have been: Demi Moore (actor and film producer), Austin St. John (actor and martial artist), Mike E. Smith (jockey), Michael Levitt (television producer), James Michael McCauley (actor), DonTrell Moore (american football player), and Susan Graham (singer). 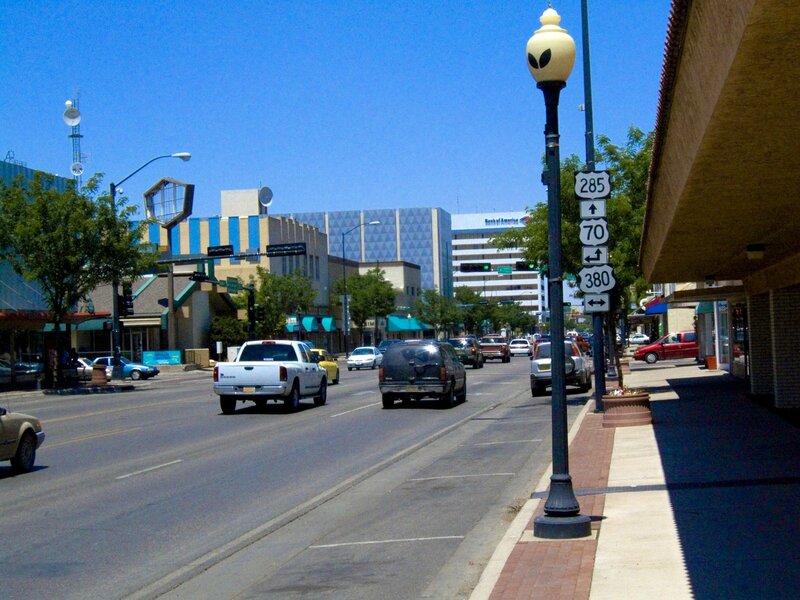 Roswell is a city in New Mexico. It is the county seat of Chaves County in the southeastern quarter of the state of New Mexico, United States. 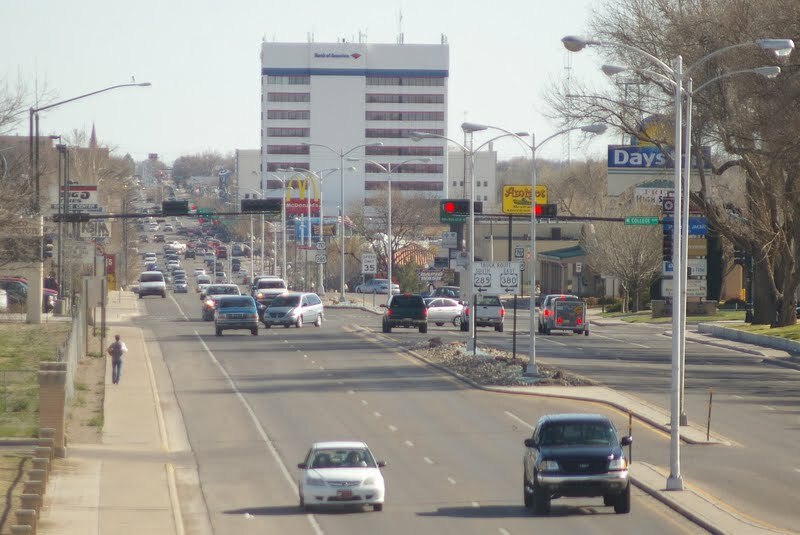 As of the 2010 census it had a population of 48,411, making it the fifth-largest city in New Mexico. It is a center for irrigated farming, dairying, ranching, manufacturing, distribution, and petroleum production. It is also the home of New Mexico Military Institute (NMMI), founded in 1891. Bitter Lake National Wildlife Refuge is located a few miles northeast of the city on the Pecos River. Bottomless Lakes State Park is located 12 miles (19 km) east of Roswell on US 380.Roswell is most popularly known for having its name attached to what is now called the 1947 Roswell UFO incident, though the crash site of the alleged UFO was some 75 miles (121 km) from Roswell and closer to Corona. The investigation and debris recovery was handled by the local Roswell Army Air Field. It was disclosed by Daily Press on December 21st, 2018 that Raymond Larry Joe Griego passed on in California. Griego was 67 years old and was born in Roswell, NM. Send flowers to express your sympathy and honor Raymond Larry Joe's life. It was disclosed by Chicago Tribune on September 23rd, 2018 that Edward M Reidell died in Cary, Illinois. Reidell was 71 years old and was born in Roswell, NM. Send flowers to express your sorrow and honor Edward M's life. It was reported by Bluefield Daily Telegraph on August 30th, 2018 that Arlene Valerie Fulkerson (Hawk) passed away in Princeton, West Virginia. Ms. Fulkerson was 65 years old and was born in Roswell, NM. Send flowers to express your sympathy and honor Arlene Valerie's life. It was written by Graham Leader on August 28th, 2018 that Cecil Jerry Cooper died in Graham, Texas. Cooper was 72 years old and was born in Roswell, NM. Send flowers to express your sympathy and honor Cecil Jerry's life. It was reported on August 16th, 2018 that David Swink passed on in Roswell, New Mexico. Swink was 78 years old. Send flowers to express your sorrow and honor David's life. It was noted on June 24th, 2018 that Timothy Ivan "Tim" MacLean perished in Portland, Oregon. MacLean was 72 years old and was born in Roswell, NM. Send flowers to express your sorrow and honor Timothy Ivan "Tim"'s life. It was noted by Kearney Hub on May 20th, 2018 that Jose Asuncion "Pepito" Urbina passed away in Kearney, Nebraska. Urbina was 24 years old and was born in Roswell, NM. Send flowers to express your sympathy and honor Jose Asuncion "Pepito"'s life. It was disclosed on April 11th, 2018 that Keith Douglas Slone passed away in Wister, Oklahoma. Slone was 62 years old and was born in Roswell, NM. Send flowers to share your condolences and honor Keith Douglas's life. It was written by The Californian on February 10th, 2018 that Mary Violii (Barnes) passed away in Salinas, California. Ms. Violii was 102 years old and was born in Roswell, NM. Send flowers to share your condolences and honor Mary's life. It was noted by Ellensburg Daily Record on December 29th, 2017 that Linda K Ireland passed away in Ellensburg, Washington. Ireland was 63 years old and was born in Roswell, NM. Send flowers to express your sympathy and honor Linda K's life. In the 1930s, Roswell was a site for much of Robert Goddard (scientist) Goddard's early rocketry work. In 1877, Captain Joseph Calloway Lea and his family bought out Smith and Wilburn's claim and became the owners of most of the land of Roswell and the area surrounding it. Later, the iron cross was covered with a thin layer of concrete. In the early 1980s, a major manufacturer, Transportation Manufacturing Corporation, which produced buses opened a factory in Roswell. On November 11, 1996 the park was renamed POW/MIA park. The official website for the city of Roswell is http://www.roswell-nm.gov. Listing all funeral homes in Roswell, New Mexico so you can easily send flowers to any location (same day delivery) or find any funeral service. Find a Funeral Home inRoswell, New Mexico NM to provide the caring burial and ceremonial services your family deserves. funerals in Roswell, NM 88201 on Yahoo! Local Get Ratings & Reviews on funerals with Photos, Maps, Driving Directions and more. We work with local florists and flower shops to offer same day delivery. You will find budget sympathy flowers in Roswell here. Our funeral flowers are cheap in price but not in value.